Just outside of the city of Esteli, Nicaragua lies this 36 meter waterfall in an area known as Salto. There is public transport to the area as well as a 5km hiking trail. 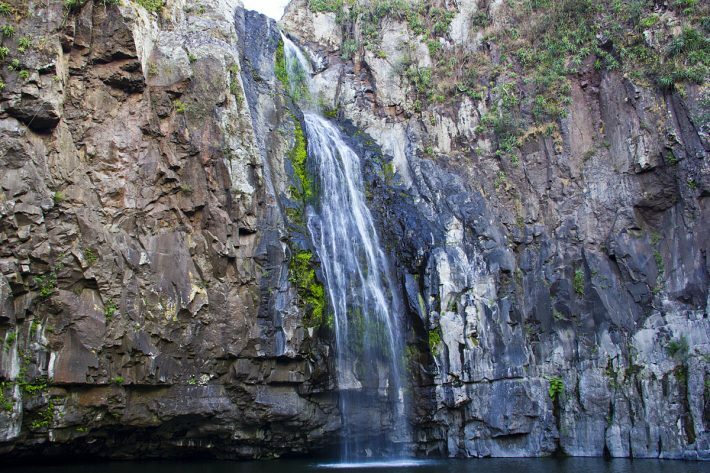 The waterfall itself is pretty impressive but the pool and cliffs created by the fall is what really makes this a great place to visit. There were people picnicking but my friends and I had the fall to ourselves for most of our visit. It also looked like people had been camping around the area as well which would probably be a pretty cool experience. I have a soft spot for waterfalls, but this one looks extra great (it would be so fun to swim under that)! Yea it was pretty damn cold but I knew I’d regret it if I didn’t swim out to it so I did! This is beautiful! I would love to go camping there. I really want to go back and camp there!